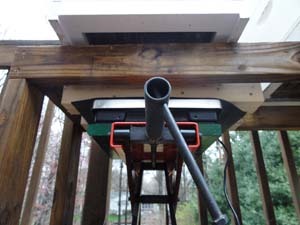 The weight of a hive changes daily based on the activities of the bees, nectar flow and weather. I built a digital hive scale to measure the daily changes in four of my hives. The measurements are taken after sunset when all the bees are in the hive. The data below represents the daily changes in weight caused by the bees. 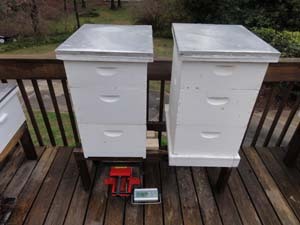 The changes in weight from adding/removing hive boxes and frames are removed from the calculations. All the added frames are drawn comb. Besides the daily weight changes I also included the weather conditions.